Most scientists are bibliophiles. Count me in. During my Ph.D. studies in England I occasionally read in a small college library, astronomers’ globes at one end, surrounded by solid wooden shelves and leather-bound books. It was a treat to read in a place like that. 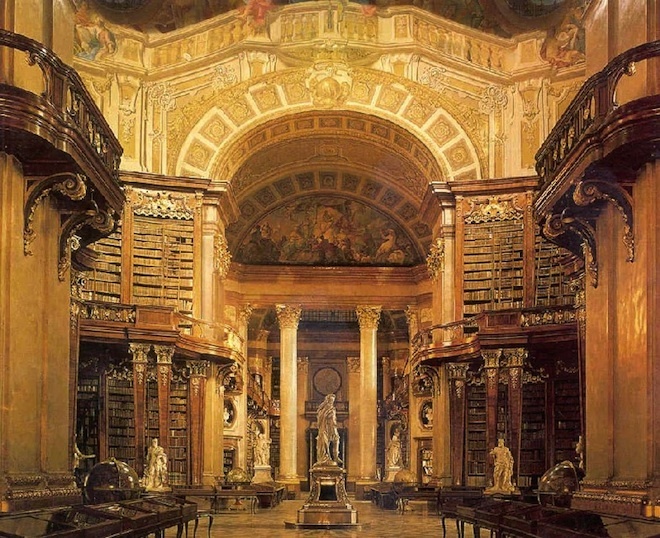 I was reminded of this by finding this old blog post showing photo after photo of stunning libraries. Readers have added over 800 comments. I’ve offered a few images below to provide a glimpse of what is on offer as a teaser, but you really must visit the original post from Curious Expeditions and find your favourites. 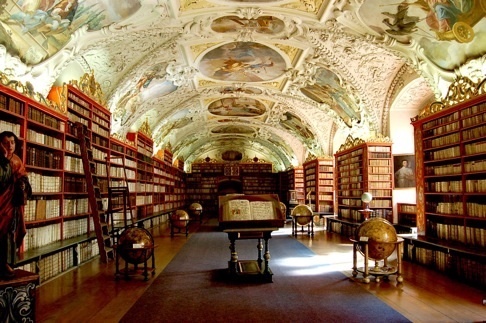 Some of the Baroque libraries are incredibly ornate. 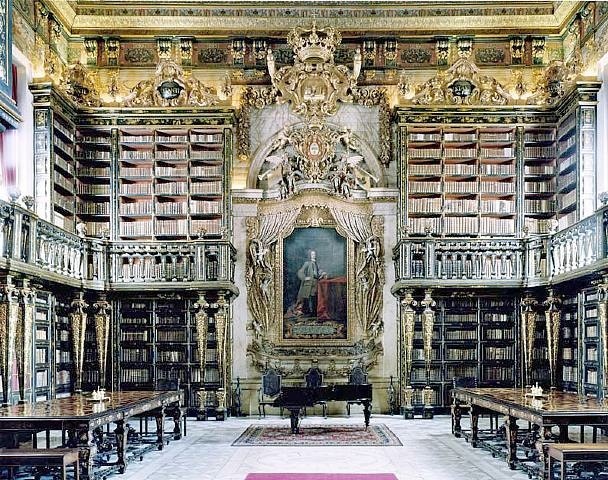 If you can’t get enough of them from there, try a google image search on ‘baroque library’, it’s worth it. As you would expect, my student reading digs where much, much more modest than these! – cosy rather than grand, although they seemed impressive at the time. Looking at the photographs, these places are awesome to look at, but I’d rather a place with little corners you can make your own while you work. And seats that aren’t wooden planks! Well, I have to make some excuse. Before I continue, I think it might be helpful to let overseas readers know that I am in New Zealand at this point. I don’t have access to libraries like those grand old dames. All the same – when I’m not trying to meet a deadline, which seems like most of the time these days – I like reading spots with a view. Looking out on forests, hills and sea has it’s charms too. Professors, lost souls with great oratory power?